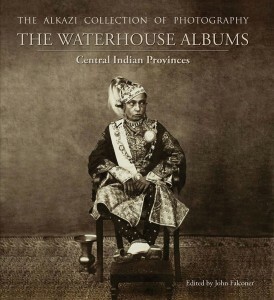 Waterhouse’s first major photographic work was undertaken from 1861-62, shortly after his arrival in India as a very young Second Lieutenant in the Royal Artillery. During this period, he was deputed on special assignment to photograph rulers, tribes, communities and archaeological subjects in the Central Provinces. The results of this survey are perhaps the first photographs of the Buddhist site of Sanchi, and a series of remarkable portraits from the court of the Begum of Bhopal, as well as of significant noblemen and groups from the surrounding area. The portraits are accompanied by Waterhouse’s extensive notes, reproduced in the book with images for the first time. This volume also offers an essay on Waterhouse’s indefatigable experiments with photographic processes and his crucial work at the Survey of India in Calcutta. Appendices include transcripts of Waterhouse’s personal narrative of his travels and photographic projects. John Falconer is Jerwood Curator of Photography at the British Library. Michael Gray is an independent scholar and photographic historian, and former curator of the Fox Talbot Museum. Shaharyar M. Khan is a historian and direct descendant of the Bhopal ruling family. Siobhan Lamber-Hurley is Senior Lecturer in Modern History at the Nottingham Trent University, UK.